Our Ecuador holidays explore one of the smallest countries in South America, but its diversity, natural beauty and its people are exceptional. This hospitable place takes its name from the equator, which runs through the north of the country, just missing the capital of Quito. A Galapagos Cruise is the reason most people visit this beautiful country, but do leave enough time for tours of historic Quito and its nearby Cloud Forest, which is a magnet for birders. Visit the indigenous market at Otavalo and explore the Avenue of the Volcanoes with its beautiful Andean snow capped mountains, travelling by road or by train. The Amazon is within easy reach by light aircraft and Ecuador holidays combine well with vacations to neighbouring Peru & Colombia. 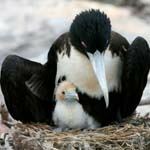 The volcanic Galapagos Islands in the Pacific Ocean are a two hour flight away and this world famous haven for birds and marine life has to be seen to be believed. 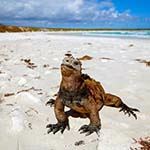 Giant tortoises, land and marine iguana and blue footed boobies are just a few of their 'Big 15' which live and breed here in total safety, oblivious to the constant flow of visitors. 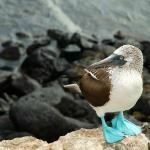 Each Galapagos cruise stops at a different island every day, with a few live-aboard options for scuba divers at one of the best dive sites on earth. 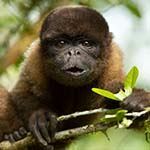 Selling Ecuador holidays, Galapagos cruise & tours to Quito for over 15 years. 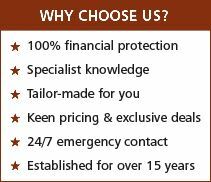 ALL OUR ECUADOR HOLIDAYS, GALAPAGOS CRUISE, TOURS TO QUITO & VACATIONS TO PERU & COLOMBIA ARE FINANCIALLY PROTECTED wherever in the world you live. Quito is the starting point of most Ecuador holidays, with its World Heritage old town centre and busy but friendly market atmosphere. At 2,850 metres above sea level it is one of the highest capital cities in the world, with views of the Andes to match. Don’t miss the impressive monument at La Mitad del Mundo (the Middle of the World) at latitude zero, with its interesting cultural museum situated on the equator. To the south of Quito two parallel chains of mountains, the Avenue of the Volcanoes, stretch for over three hundred miles towards the pretty colonial town of Cuenca. 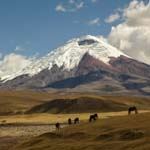 On Ecuador holidays & tours this area is a favourite spot for walking, riding and climbing. Eight of Ecuador’s ten highest peaks are found here, including Tungurahua, and the perfect volcanic cones of Cotapaxi and Chimborazo. Before your Galapagos cruise, you can travel this region by road or by rail on the spectacular Tren Crucera (cruise train) that navigates through a series of intricate switchbacks, aptly named the Devil’s Nose, as it journeys between Quito and Guayaquil. You stay in small haciendas on your vacations, whilst enjoying incredible views and sampling the market towns for which the Avenue of the Volcanoes is justly famous. Horse riding vacations in this region are also popular. In most South America countries the Amazon jungle is never far away and Ecuador holidays are no exception. It occupies the entire eastern half of the country. The best way to experience this extraordinary environment is to stay in one of lodges found in the national parks, which come with expert guides. The rainforests and higher cloud forests are astonishing in their biodiversity and sheer abundance of colourful tropical birdlife and jungle wildlife, so be prepared for some early starts, take your wet gear and get ready for the experience of a lifetime! For somewhere completely different, the vibrant port town of Guayaquil on the Pacific coast is a revelation. This commercial hub and university city has seen massive investment and the river front, lively bars and cafes, growing arts scene, not to mention the fabulous seafood, make this an up and coming go-to place before or after your Galapagos cruise. Like their neighbours in Peru and Colombia, the people of Ecuador are warm and welcoming, with the Andes and the Amazon provide a link between these three unique and beautiful countries. 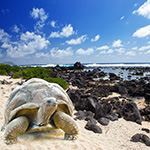 Why not extend your Ecuador holiday & Galapagos cruise to visit one or both of them while you are in this unforgettable part of the world? This holiday is the perfect introduction to Ecuador - combining the old Inca capital of Quito in the Andes, with its stunning landscapes, with local culture as you travel through the Avenue of the Volcanoes & ride the train down Devil's Nose to the charming colonial city of Cuenca. Then travel via El Cajas National Park to the Caribbean port city of Guayaquil. English speaking guides & all transfers included. The iconic Tren Crucero train starts in the historic colonial city of Quito and journeys through the spectacular Avenue of the Volcanoes to the port city of Guayaquil - the gateway to the Galapagos Islands. 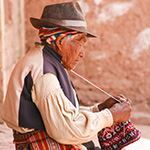 See spectacular Andean scenery and absorb the local culture, staying at local haciendas along the way. 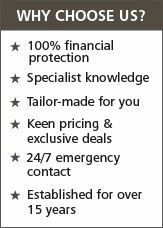 Gold class journey & all transfers included. Departs once a month in each direction. Explore the wildlife, cultures & landscapes of mainland Ecuador, starting in the old Inca capital of Quito high in the Andes. Fly into the Amazon Basin to explore its wildlife & waterways, then travel through the Avenue of the Volcanoes to colonial Cuenca, including train ride down the Devil's Nose. Light aircraft flights, English guide, all transfers & specified sightseeing included. Combine the wildlife of the rainforests of the Ecuadorian Amazon with the Galapagos Islands, staying on Santa Cruz island, with day excursions to see the incredible marine life and birds that inhabit these islands (or cruise option if preferred). Without any fear of humans, close up viewing is assured. Galapagos flights, all transfers & marine fees included. Diving options available on request. 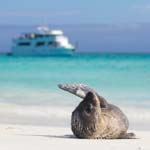 Galapagos Cruise Ecuador: This classic holiday combines the history & cultures of mainland Ecuador with an amazing cruise through the Galapagos islands. 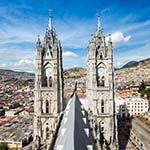 Visit the old Inca capital of Quito & explore the landscapes of the Avenue of the Volcanoes, including a train ride down the dramatic 'Devils Nose'. All transfers, marine park fees & specified sightseeing with English guides included. This fascinating Grand Tour of Ecuador explores the country in depth. Travel by boat into the rainforests of Yasuni National Park in the Amazon; experience the landscapes & cultures of the Avenue of Volcanoes on the Tren Crucero train; and enjoy a fabulous expedition cruise through the marine-rich waters of the Galapagos Islands. Galapagos flights, all transfers & marine fees included.